Simple spreadsheet. 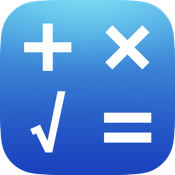 Powerful multitouch calculator. You'll never be able to use a dumb calculator anymore !! Quick access to stored numbers: A simple touch on any number on the sheet will add it at the cursor location.